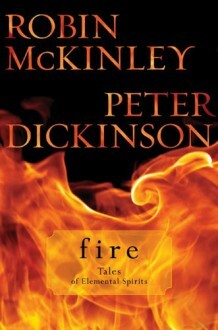 Master storytellers Robin McKinley and Peter Dickinson, the team behind Water: Tales of Elemental Spirits, collaborate again to create five captivating tales incorporating the element of fire. In McKinley?s ?First Flight,? a boy and his pet foogit unexpectedly take a dangerous ride on a dragon, and her ?Hellhound? stars a mysterious dog as a key player in an eerie graveyard showdown. Dickinson introduces a young man who must defeat the creature threatening his clan in ?Fireworm,? a slave who saves his village with a fiery magic spell in ?Salamander Man,? and a girl whose new friend, the guardian of a mystical bird, is much older than he appears in ?Phoenix.? With time periods ranging from prehistoric to present day, and settings as varied as a graveyard, a medieval marketplace and a dragon academy, these stories are sure to intrigue and delight the authors? longtime fans and newcomers alike.